Overtime can be a costly, unnecessary expense if managed incorrectly. 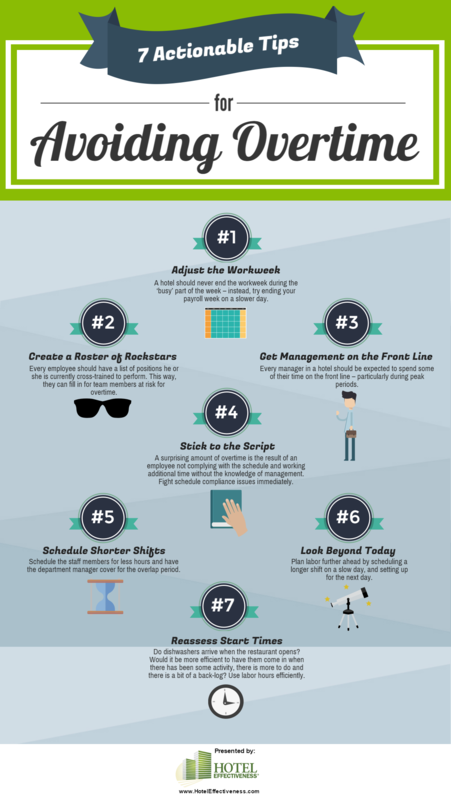 We’ve created the following infographic, “7 Actionable Tips for Avoiding Overtime,” to help give you pointers on effectively managing this labor expense! For more detailed information, be sure to download our popular guide, Managing Overtime in Hotels.